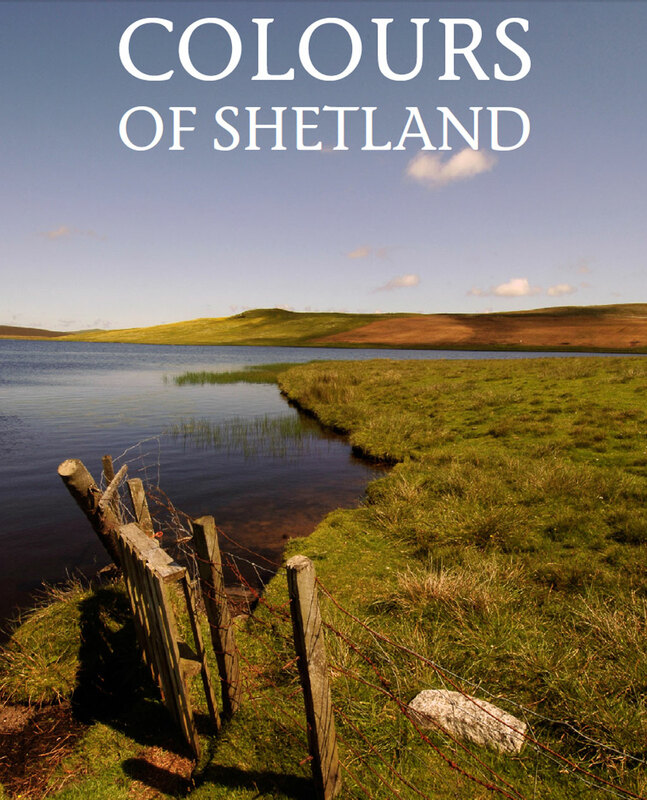 ‘Colours of Shetland’ by Kate Davies, coming soon! 1. 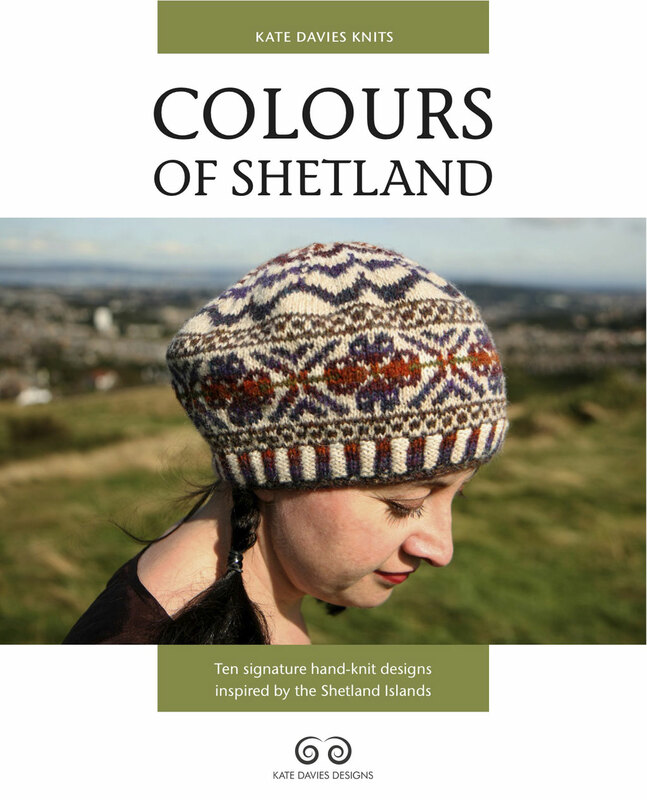 ‘Colours of Shetland’ features designs knit exclusively in Jamieson & Smith Jumper Weight Yarn – described in the FAQ for the book as your “all-time favourite yarn for colour knitting”… could you say a little bit about what makes Jamieson & Smith Jumper Weight Yarn specifically appropriate for colour knitting? 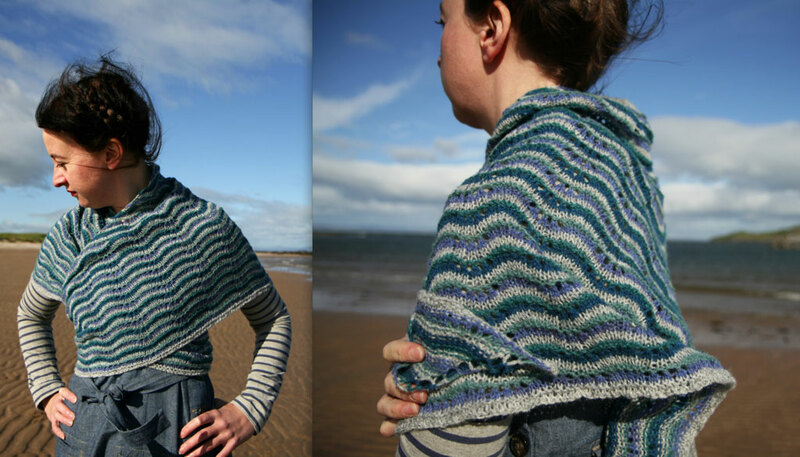 First and foremost because it is spun with superb Shetland wool. It has that characteristic sticky, woolly hand that makes it ideal for stranded colourwork and cut steeks – the yarn just seems to want to turn itself into a lovely colourwork fabric. I love its hand and I also love its palette. Its weight also seems perfect for garments, and it knits up beautifully on 3mm needles… So many things about it just feel right to me. 2. 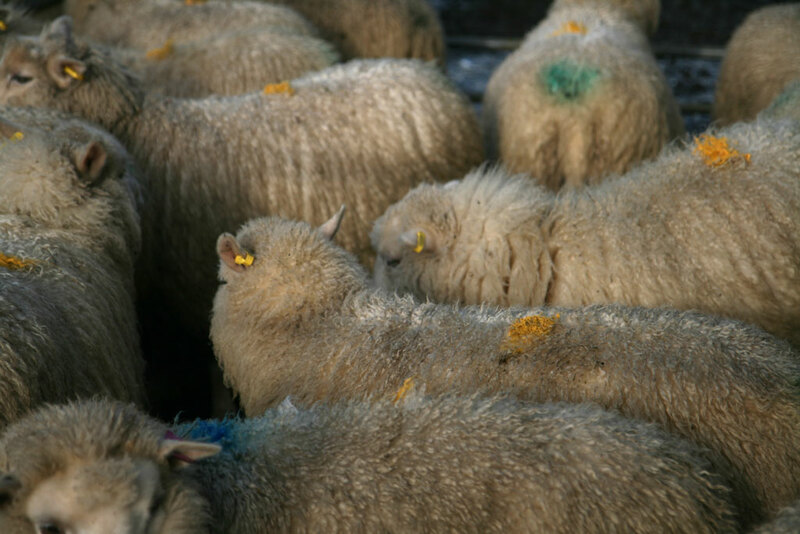 One of the things I often find myself thinking about is the relationship between distinct, regional sheep-breeds, and specific types of knitting. 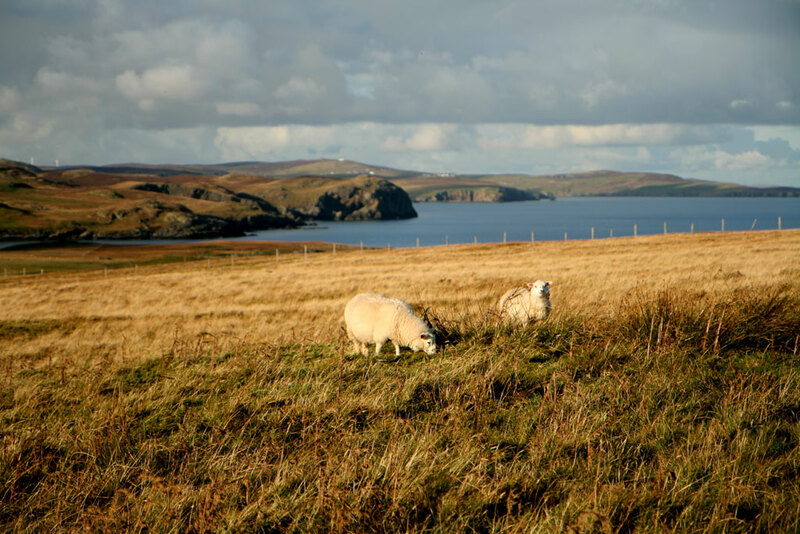 In the case of Shetland, I often wonder if the Shetland sheep and its particular type of wool – bouncy, soft, available in many different natural shades – is in part responsible for the emergence of stranded knitting; what are your thoughts on this? 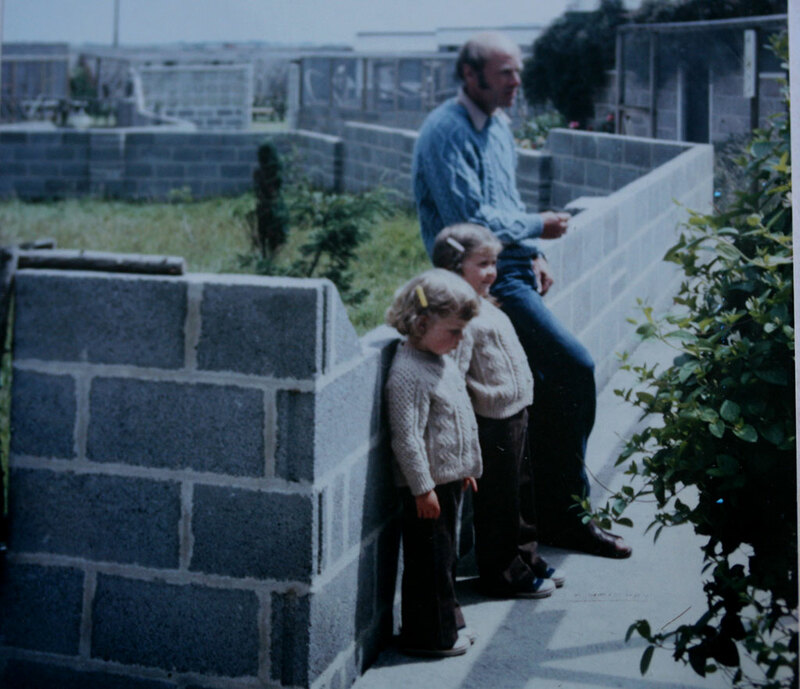 I am completely sure that coloured fleeces were crucial to the emergence of the earliest stranded knitting designs in Shetland and elsewhere. 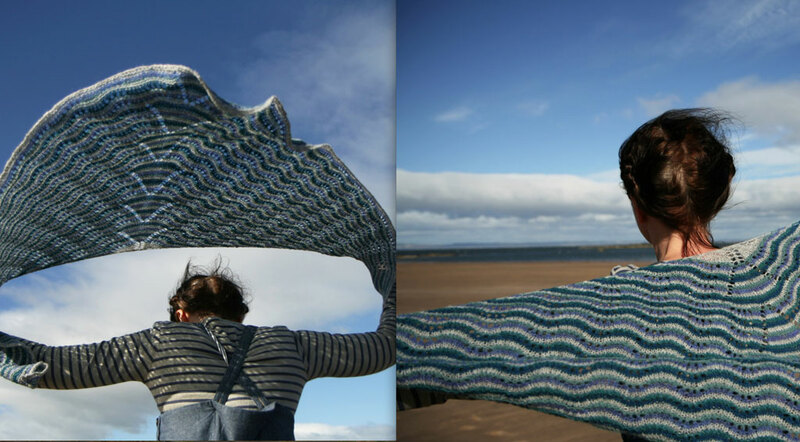 I have a tendency to dislike ‘origin speculation’ as it has so often given rise to myths about knitting that are misleading, and sometimes damaging. 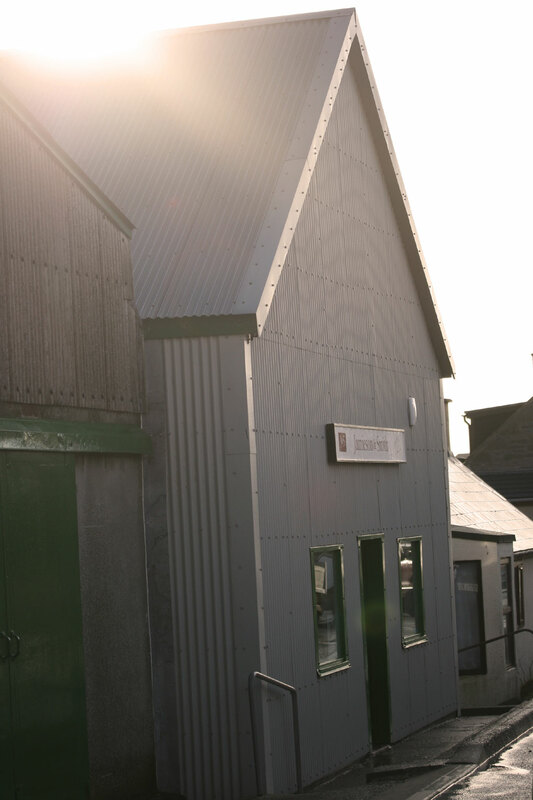 That said, I have recently been commissioned to contribute a chapter about the history of Fair Isle knitting to an exciting new book about Shetland textiles (to be published by Shetland Amenity Trust next year) and the question of origins is one with which I’ll definitely have to engage! I’m really looking forward to researching this thoroughly in the new year. 3. You have designed quite a few projects with Jamieson & Smith Jumper Weight Yarn in the past, but working on ‘Colours of Shetland’ has given you an unprecedented opportunity to work exclusively with their colour range; what are your most surprising discoveries about the shades that Jamieson & Smith carry, and are there any particular colours which you have developed a special affection for in the process of developing your book? Oh my, yes!! 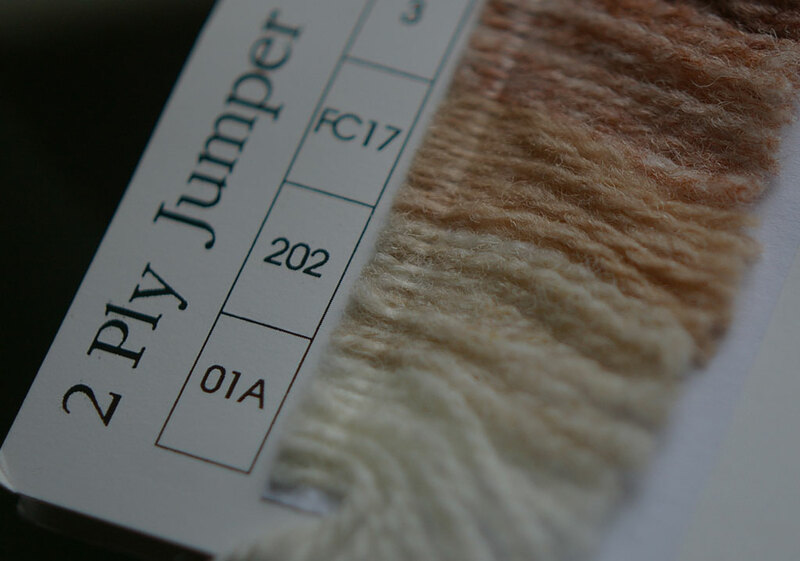 Experimenting with the J&S jumper weight palette was one of the singular pleasures in creating the designs for this book. I fell in love with so many colours that I had previously overlooked in the shade card and sometimes the temptation to just carry on knitting forever with that shade was very strong… for rich bright solids you can’t go wrong with 91 (like the yolk of an egg) or 28 (which makes me think of Heinz tomato soup). I also love many of the FC shades, and recently discovered FC 58, a brown which is not brown at all, but a complex composite of blues, oranges, greens, reds… I think that the ‘recipe’ for FC 58 contains the largest number of colours in the whole jumper weight palette, and these have been blended together during processing to create a truly incredible shade. 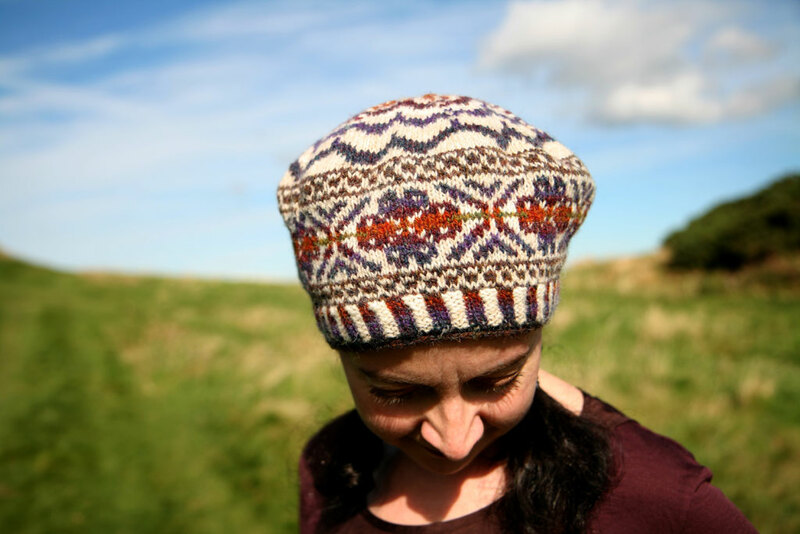 I’d also like to sing the praises of 202 – the humble neutral that has formed the basis of many a great Fairisle design. It is precisely the right combination of white / cream / fawn – colours really sing against it. 4. 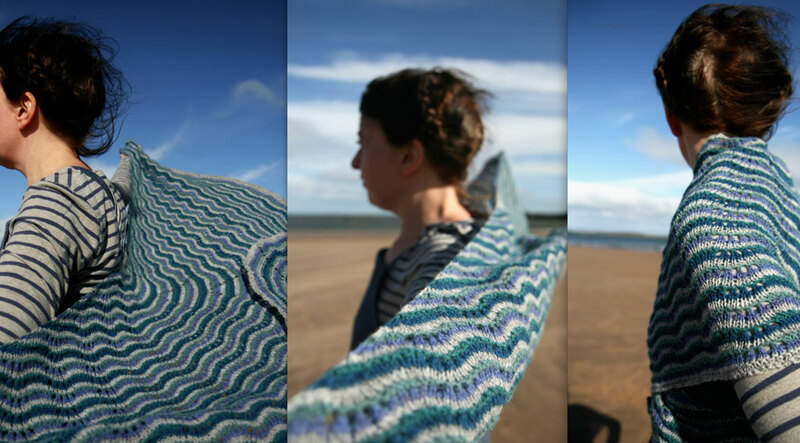 It seems to me that you have a particularly joined-up approach to design, and that although the actual yarn you work with is of course important in terms of its appearance and availability, a great deal of inspiration can also be drawn from the relationships which that yarn has to people, history, and places. 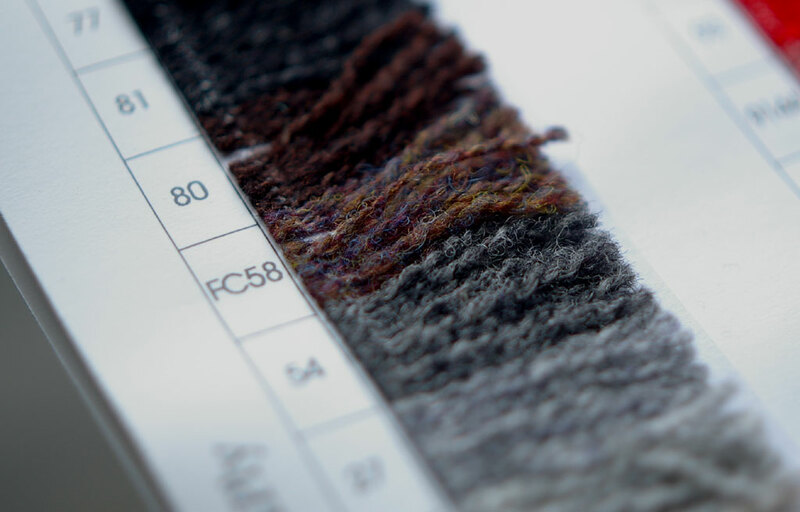 How important is the provenance of your wool to you, as a knitwear designer? Provenance is absolutely crucial for me as a designer. 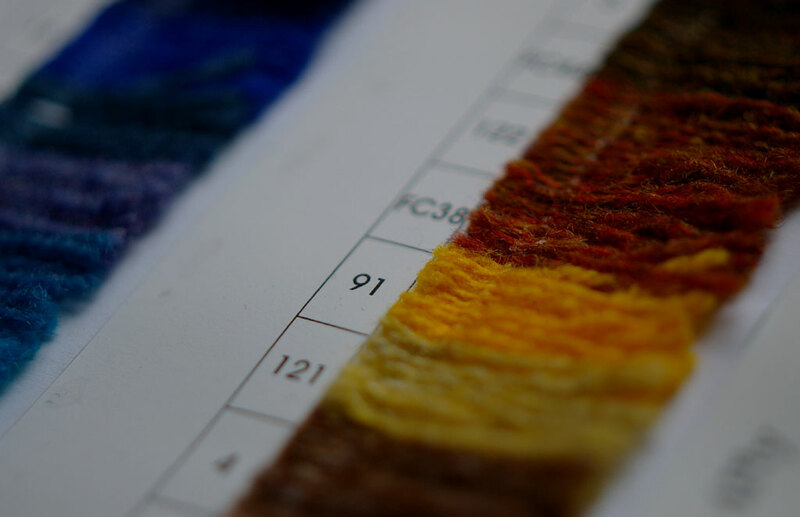 I like to know as much as possible about where the yarn I design with comes from and how it is processed so that I can recommend it to knitters with complete confidence. Whenever possible, I like to visit the place where a yarn is produced, and meet the people who are involved in its production. One of the many things I love about working with Jamieson and Smith is that all the stages of production are totally transparent. 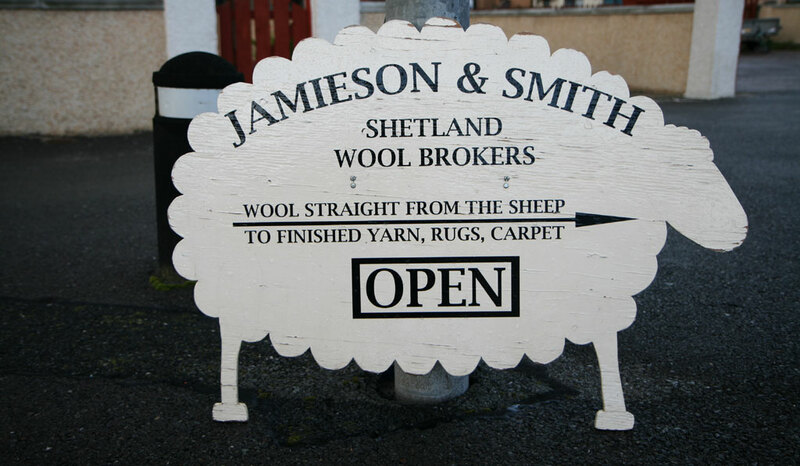 The sheep are raised in Shetland; the fleeces are expertly hand sorted and graded; the crofters are paid swiftly and fairly for their wool; the wool is processed by J&S’s parent company, Curtis Wools, in Yorkshire; the finished product returns as yarn to Shetland, where it is not only sold to knitters, but does a great job in supporting projects that celebrate Shetland’s woolly heritage (for example, Shetland Amenity Trust’s Fine Lace Project). 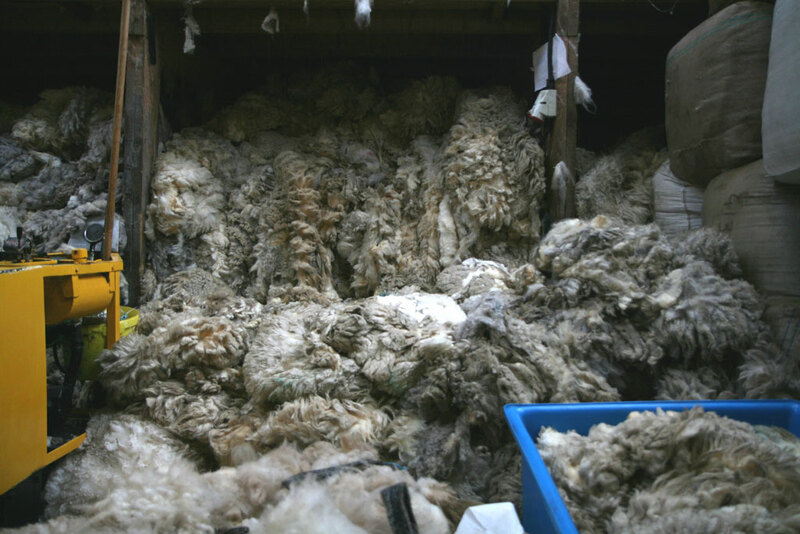 The wool comes from a landscape, economy, and culture, and, in multiple ways, supports that landscape, economy and culture. That really speaks to me. 5. Your love of places and the outdoors shines through in your blog with all the wonderful photos that you share from your walks with Bruce and Tom. You also frequently write about the history of textiles. 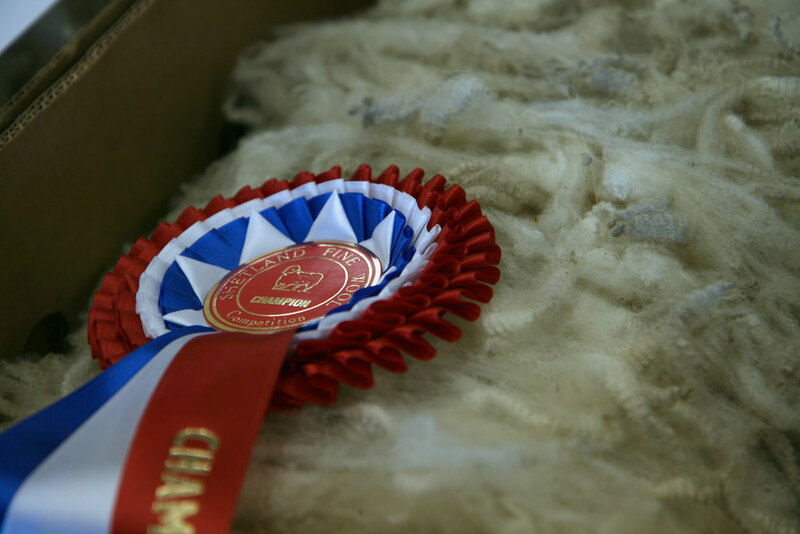 Do you feel that wool is especially inspiring to work with because of its links to history, and because wool-production has played such a huge role in shaping the way that the UK countryside looks? Yes I do. I was a historian before I was a designer. I specialised in eighteenth century cultural, political and literary history, so know a reasonable amount about wool’s historic significance. It’s hard to ignore the role this fibre has played in shaping the British landscape, and I think it is important that we continue to highlight that role, in all its aspects, from the smugglers haunts of Kent to the Highland clearances. One of the great pleasures I find in walking around Britain is ‘reading’ a landscape in terms of the human traces that it bears, or the economic activity it has supported. Nowhere in Britain is really truly ‘wild’: we inhabit a very human landscape, and wool has been, and continues to be, totally central to the shaping of that human story. 6. Just for fun, what is your first memory of appreciating WOOL? My grandma was a champion knitter, and made my sister and I many glorious woolly garments. She was also a champion ironer, and liked to steam block and press her knitting very vigorously… I must have been 7 or 8, and I remember that I saw her knitting a beautiful cable and lace cardigan for me, in Irish bainin wool. I loved the puffy, springy appearance of the cables coming off the needles and when she had finished it, I asked her not to steam it because I liked the way the stitches looked just as they were. The cardigan remained unblocked, the cables stayed puffy, and I wore it with pride. Thankyou, grandma!